Hi, Adam Lehrhaupt! Welcome back to Watch. Connect. Read. THANK YOU for taking the time to finish my sentences. Hi, and THANK YOU! I couldn’t be more thrilled to premiere the trailer for CHICKEN IN SPACE on Watch. Connect. Read. I’m so in love with these characters! I can’t wait to share them with everyone. I think Shahar Kober’s illustrations are amazing! Zoey is such a complex and imaginative character. I wasn’t sure how she would turn out. Shahar really captured her zaniness in his illustrations, while also keeping her grounded in the world of the other characters. And his landscapes are phenomenal. I want to frame them and hang them in my dining room. I hope Chicken in Space helps encourage readers to play imaginatively. Zoey creates a world that draws Sam and the reader in, inviting a believer to travel along for the ride. I’d love to hear that her story encouraged others to go out and enjoy themselves in a similar way. In the presentation I give during school visits, I talk about another wonderful literary example of imaginative play. 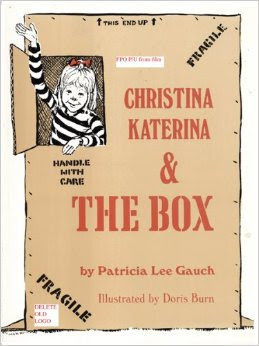 CHRISTINA KATERINA & THE BOX By Patricia Lee Gauch, illustrated by Doris Burn. I absolutely love this book! Who didn’t, at some point, use a box as a toy? There’s more than a touch of Christina’s imagination in Zoey. Zoey is someone I want to emulate. She doesn’t let any negativity stop her. She’s set her goal and she’s going to meet it. She’s a dreamer. A planner. A great friend to Sam. And she tries to include everyone. Other than being covered in feathers, I wouldn’t mind being more like her. Mr. Schu, you should have asked me about my parent’s farm. They have REAL chickens there! And what’s even better…they let me name one Zoey! She hasn’t tried to go to space yet, but I think she’s already got a plan. Maybe she just needs a pig. Or pie. Everyone likes pie. about my parent’s farm. They have REAL chickens there! And what’s even better…they let me name one Zoey! She hasn’t tried to go to space yet, but I think she’s already got a plan. 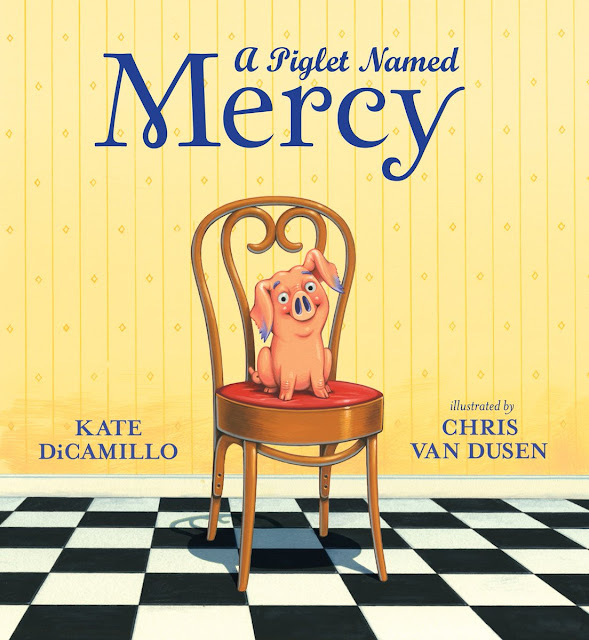 Maybe she just needs a pig. Or pie. Everyone likes pie. 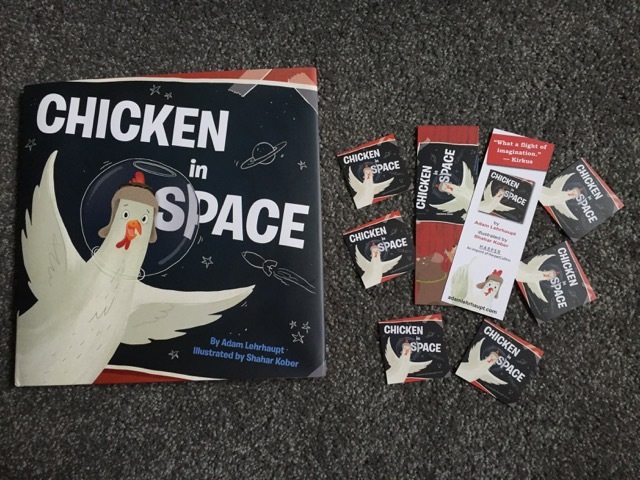 I am giving away a signed copy of Chicken in Space and bookmarks. 1. It will run from 5/13 to 11:59 PM on 5/14. 2. You must be at least 13. 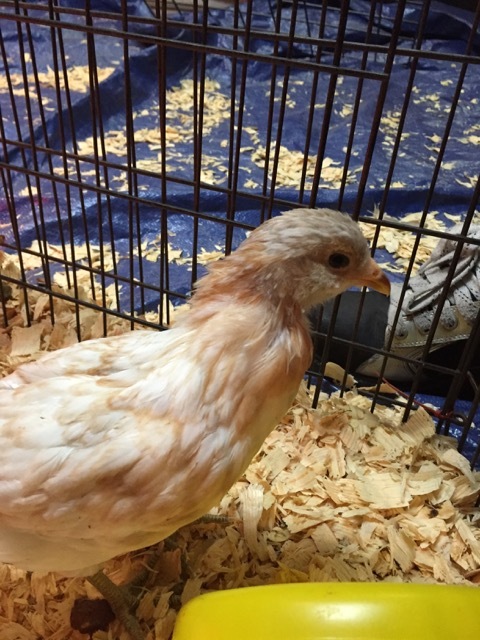 Borrow Chicken in Space from your school or public library. Whenever possible, please support independent bookshops.